For years, construction equipment in India have remained the same, while technology around the world has been changing at a rapid pace. With rising fuel costs and increasing operational expenses, the profitability of customers has been taking a hit. Our designers at Mahindra – India’s leading automotive and tractor manufacturer, looked at the current scenario and made some dramatic leaps in the technology in our own, self-designed construction equipment specifically for Indian usage patterns. For decades Earth Moving contractors in India have had to make do with products of dated technology. Mahindra & Mahindra offers the choice to breakfree from the limitations of old technology. 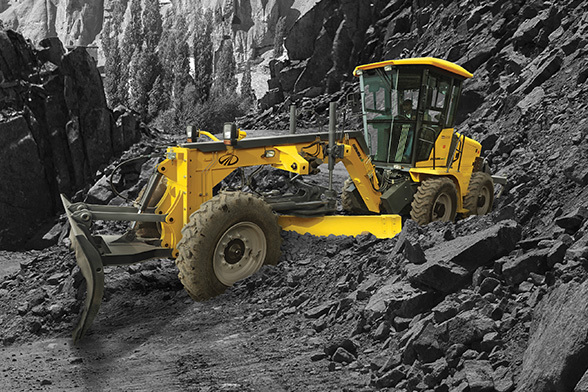 The Mahindra EarthMaster is the Next Generation Backhoe Loader backed by the engineering capabilities, manufacturing strength, distribution reach and after sales service of Mahindra & Mahindra. Mahindra's Product Development team has utilized extensive consumer insight and feedback to develop this product which is built to withstand India's rough terrain and heavy usage. In addition, the product offers cutting edge features using the latest vehicle systems and technologies at prices that are within reach of the mass market. The Mahindra EarthMaster has undergone over 20,000 hours of rigorous testing in the harshest of terrains and for the toughest of applications. It has been validated on all performance, safety and reliability parameters. It is backed by Mahindra's dealer network, which has an unparalleled reach across the country. 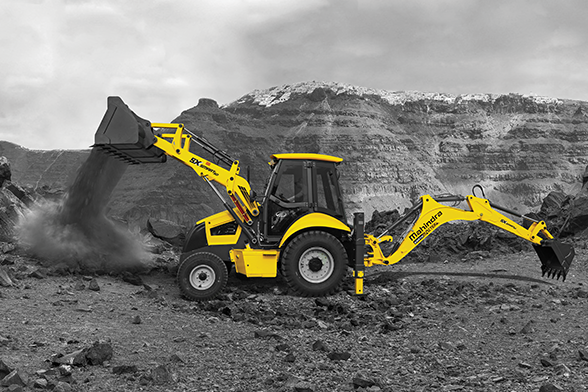 The Mahindra EarthMaster Brand of Backhoe Loaders is now available in 3 variants: EarthMaster VX, EarthMaster SX and EarthMaster 4WD. Made in India for Indian Roads, is the Mahindra RoadMaster G75 summed up in a few words. After intense research into the Road Construction scenario in India, we realised that while many large and expensive Motor Graders from international companies are available in India, none of them are Made for India keeping in mind the Indian requirements where more than 90% are other than national highways. This is where the RoadMaster G75 comes into picture. The RoadMaster G75 is created to offer an affordable, un-compromised and mechanised grading solution for small & medium roads in India. It is designed with extensive research and input from Indian road contractors. The RoadMaster G75 is an ideal grading Machine for spreading, grading of earthwork in different types of Roadwork across the nation in addition to being used for Railway and ground levelling operations across sectors. The G75 is designed to provide optimal output at affordable cost with its simple yet rugged design. The RoadMaster G75 comes with GPRS Based Remote Monitoring System DiGISENSE that keeps a track of your machine with the touch of a finger. Backed by the robust network of dealers and service centres across India, the RoadMaster G75 is sure to pave you a smooth road to success.